Proven dual composite construction with internal shock absorbing frame offers protection and fit that outperforms other conventional mouthguards. 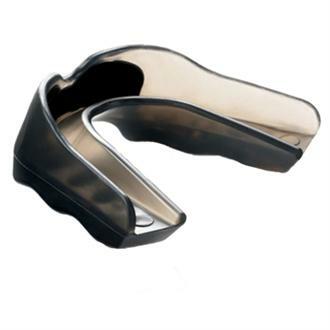 This mouthguard also features patented shock absorbing jaw pads that help protect against concussions and create channels for improved breathing. The shock absorbing bumper absorbs and deflects away impact from the front teeth. Email your friend about the Shock Doctor Pro - Strapless. Ask a question about the Shock Doctor Pro - Strapless.